Using exotic particles called quantum dots as the basis for a photovoltaic cell is not a new idea, but attempts to make such devices have not yet achieved sufficiently high efficiency in converting sunlight to power. A new wrinkle added by a team of researchers at MIT — embedding the quantum dots within a forest of nanowires — promises to provide a significant boost. 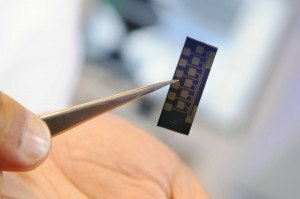 Princeton researchers have found a simple and economical way to nearly triple the efficiency of organic solar cells, the cheap and flexible plastic devices that many scientists believe could be the future of solar power. 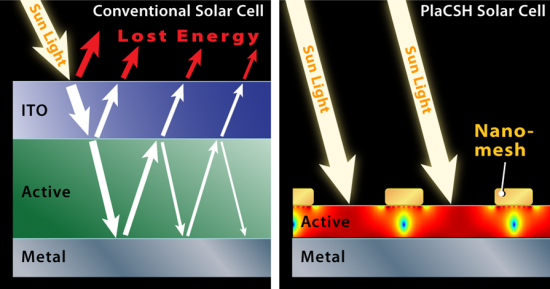 The researchers, led by electrical engineer Stephen Chou, were able to increase the efficiency of the solar cells 175 percent by using a nanostructured "sandwich" of metal and plastic that collects and traps light. Chou said the technology also should increase the efficiency of conventional inorganic solar collectors, such as standard silicon solar panels, although he cautioned that his team has not yet completed research with inorganic devices. By fabricating graphene structures atop nanometer-scale “steps” etched into silicon carbide, researchers have for the first time created a substantial electronic bandgap in the material suitable for room-temperature electronics. Use of nanoscale topography to control the properties of graphene could facilitate fabrication of transistors and other devices, potentially opening the door for developing all-carbon integrated circuits. Researchers have measured a bandgap of approximately 0.5 electron-volts in 1.4-nanometer bent sections of graphene nanoribbons. The development could provide new direction to the field of graphene electronics, which has struggled with the challenge of creating bandgap necessary for operation of electronic devices. Using a new method for precisely controlling the deposition of carbon, researchers have demonstrated a technique for connecting multi-walled carbon nanotubes to the metallic pads of integrated circuits without the high interface resistance produced by traditional fabrication techniques. Based on electron beam-induced deposition (EBID), the work is believed to be the first to connect multiple shells of a multi-walled carbon nanotube to metal terminals on a semiconducting substrate, which is relevant to integrated circuit fabrication. 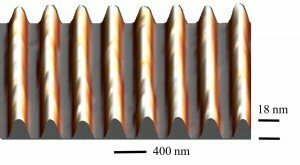 Using this three-dimensional fabrication technique, researchers at the Georgia Institute of Technology developed graphitic nanojoints on both ends of the multi-walled carbon nanotubes, which yielded a 10-fold decrease in resistivity in its connection to metal junctions. Power-generating rubber films developed by Princeton University engineers could harness natural body movements such as breathing and walking to power pacemakers, mobile phones and other electronic devices. 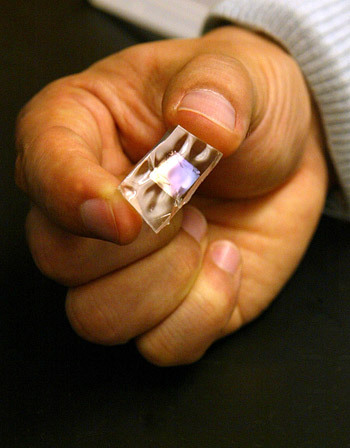 The material, composed of ceramic nanoribbons embedded onto silicone rubber sheets, generates electricity when flexed and is highly efficient at converting mechanical energy to electrical energy. Shoes made of the material may one day harvest the pounding of walking and running to power mobile electrical devices. Placed against the lungs, sheets of the material could use breathing motions to power pacemakers, obviating the current need for surgical replacement of the batteries that power the devices.